Although I try to eat nuts and seeds on a daily basis, they can get kinda boring which makes it hard to stay consistent. 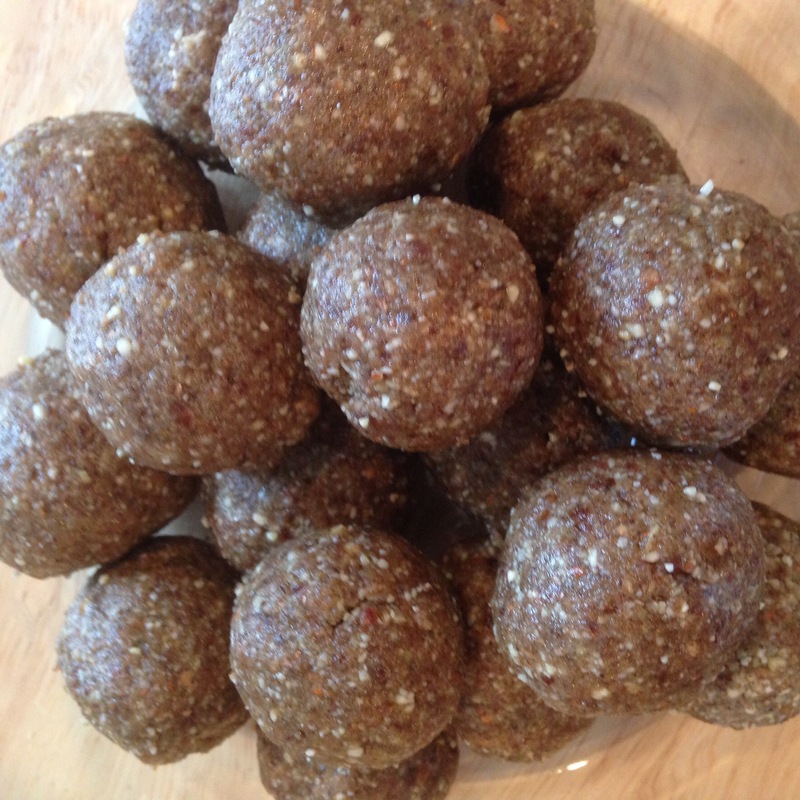 That’s why I created these healthy raw energy balls; they can be eaten for breakfast or as a mid-day snack when you’re tempted to eat junk food. To make this recipe even more healthy, you can soak the nuts and pumpkin seeds overnight and then rinse them to remove most of the phytates (phytates in nuts and seeds bind to certain nutrients which prevents your body from absorbing them). 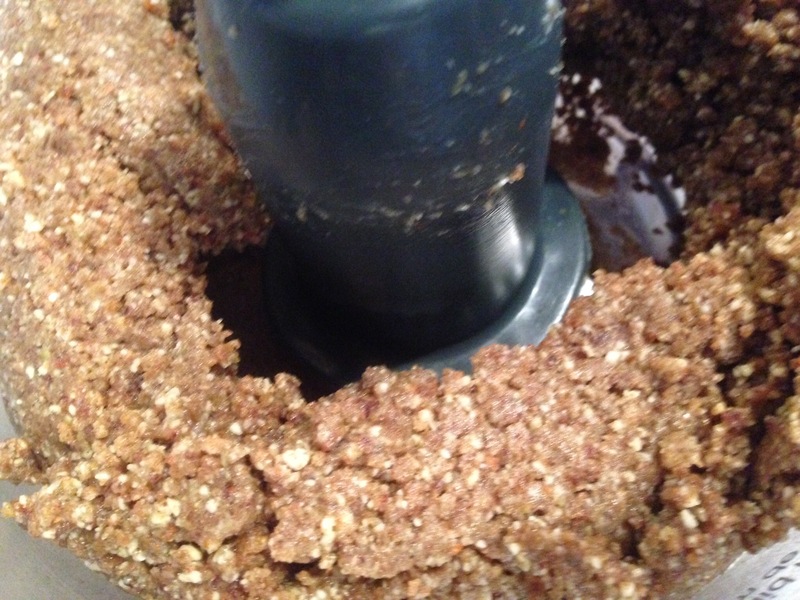 Make sure they are completely dry again before using (wet seeds and nuts will not blend properly and will taste different as well). Although I stay away from making chocolate goodies due to my husband and daughter’s GERD, you can also add raw cacao powder to satisfy your chocolate cravings. *preferably soaked for 8 hours or overnight, and then rinsed and dried before processing. Soaking is not a required step. 1. 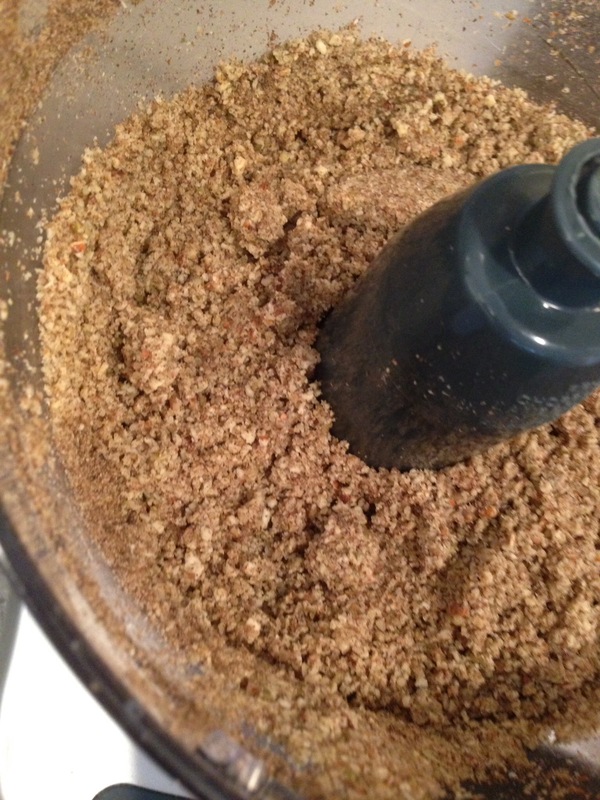 Place the nuts and seeds in your food processor and blend until they form a coarse flour. 2. Add the remaining ingredients and blend until a dough-like texture is formed. 3. Form the dough into 20-25 balls using your hands. Keep refrigerated. 1. Preheat oven to 350•F. 2. Cut the pears in half, core them and lay them flat in a baking dish. Add an inch of water to the baking dish and put it in the oven. Bake the pears until they are soft, about 20-30 mins depending on how ripe they are (you should be able to easily slide a fork through them). 3. As the pears cool, add the oats and milk to a saucepan and bring to a boil. Lower heat and cook about 10 mins, stirring frequently, until the oats are fully cooked and the consistency is quite thick. 4. Puree the pears in a blender or food processor, using the same water they were baked in. If you prefer your oatmeal to have a thicker consistency then add just enough of the water to puree the pears, if you prefer a runnier consistency then add more water. Makes 3-4 toddler servings. 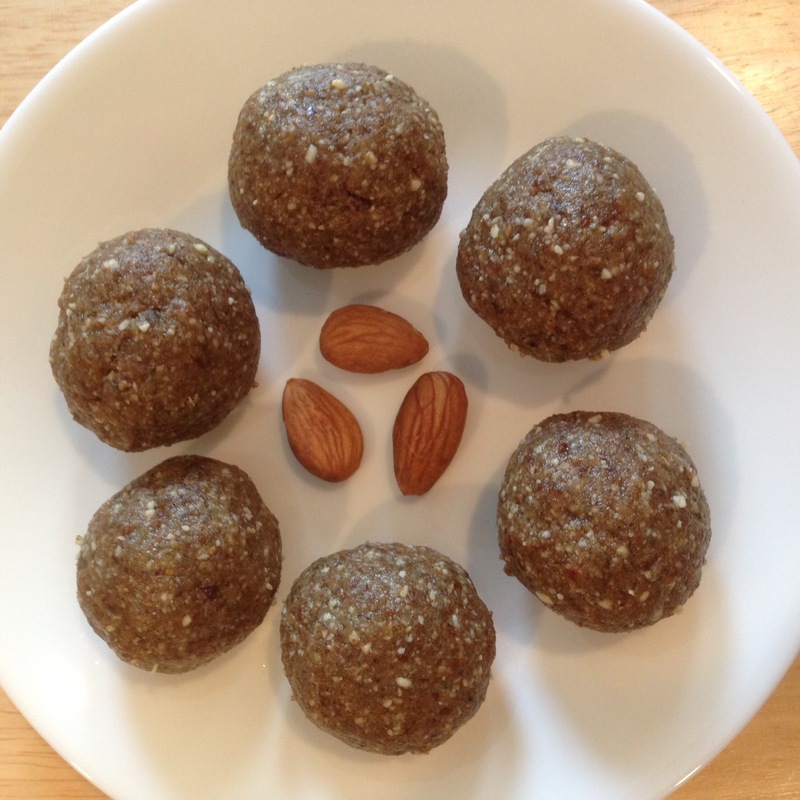 You can also make a bigger batch minus the ground almonds and freeze extra servings (add the ground almonds in after thawing). Oats are high in manganese, phosphorus, copper, biotin, and vitamin B1. Almonds are high in biotin, vitamin E (an antioxidant) copper, manganese, as well as healthy fats. 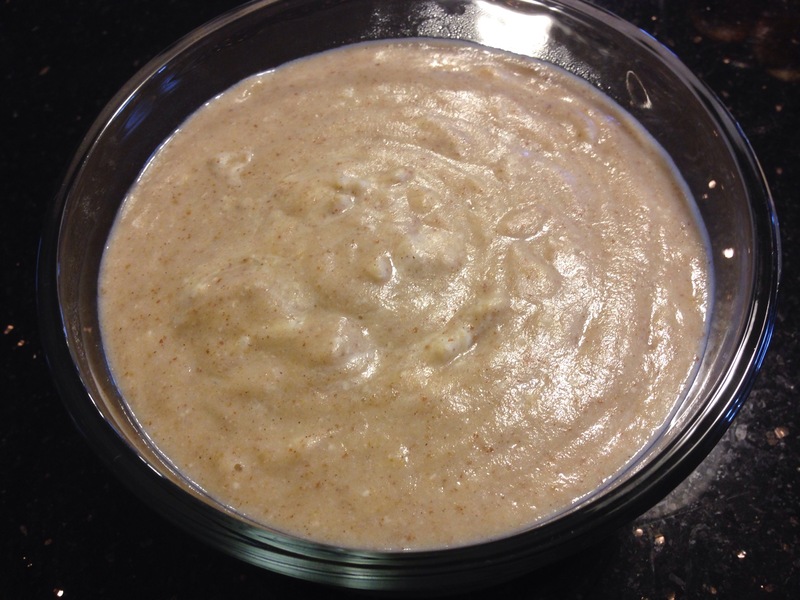 Pears are high in fiber – the pears in this dish helped my daughter’s constipation tremendously when she was a baby. Cinnamon is anti-microbial so it’s perfect for cold and flu season! Although baking the pears makes this recipe time consuming, it helps retain more nutrients than other methods of cooking pears. If you simply don’t have the time, you can also peel and slice the pears, place them in a saucepan with just enough water to cover them and cook until soft, then mash them with a potato masher.